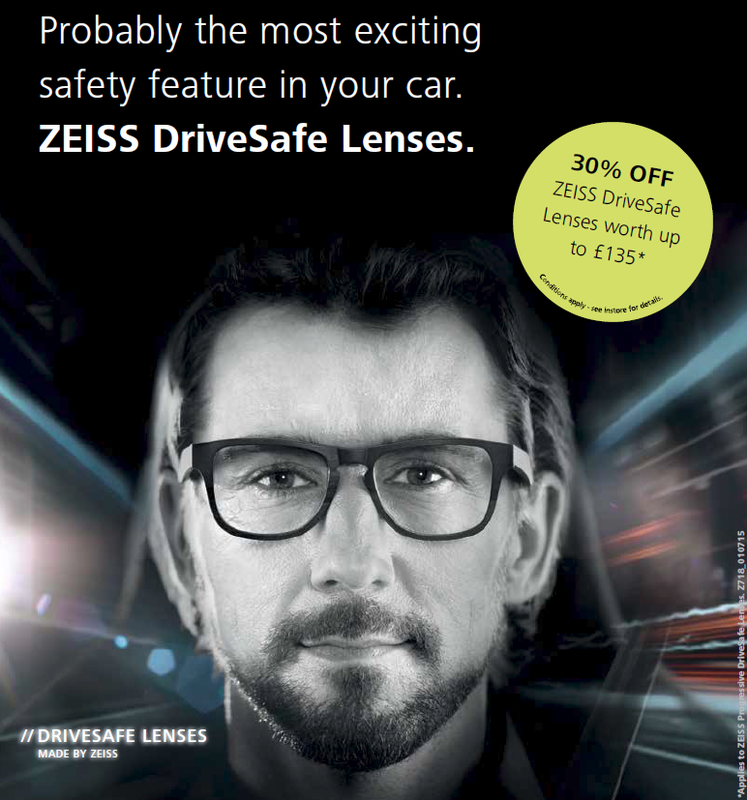 Until 31 March 2016 we are offering 30% off ZEISS DriveSafe lenses! Call us now on 01329 280 250 for more information or drop in to see these great lenses for yourself. But hurry, offer ends 31 March 2016.